Covers printed in full colour onto 350gsm card with a laminate option, with 50 inner sheets printed single sided onto 90gsm paper, with the choice to be wirebound to the top or left hand side. Why not have your name or company logo on the front cover and your contact details on the back cover. These are ideal as personalised gifts, company promotion or to take customer notes/enquiries. 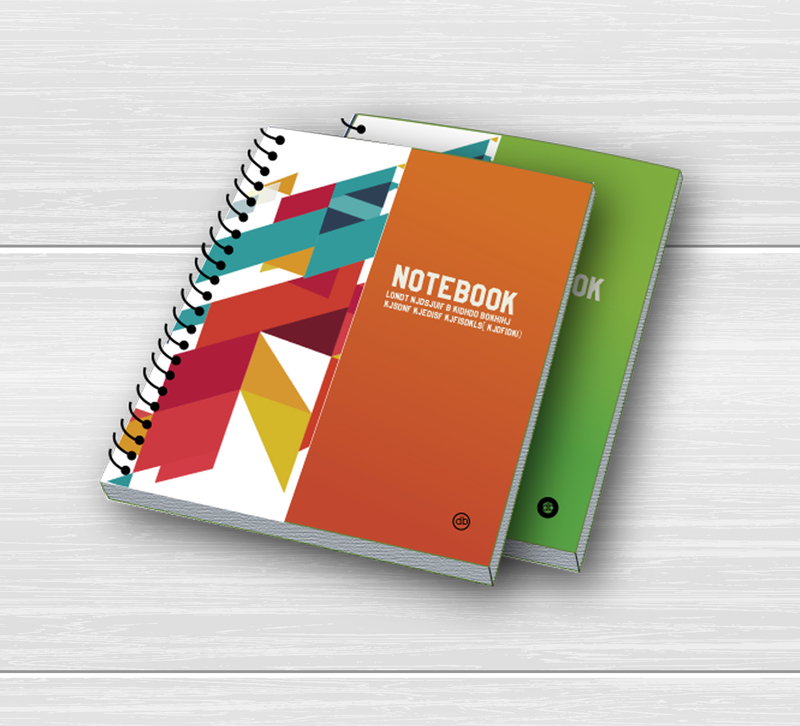 How would you like your Notebooks?